We love the versatility of jute rugs. Part of our Indian Rug Collection – a country known for its evocative patterns, colours and senses – our beautiful circular rugs will add strong geometric patterns, texture and personality to your décor. 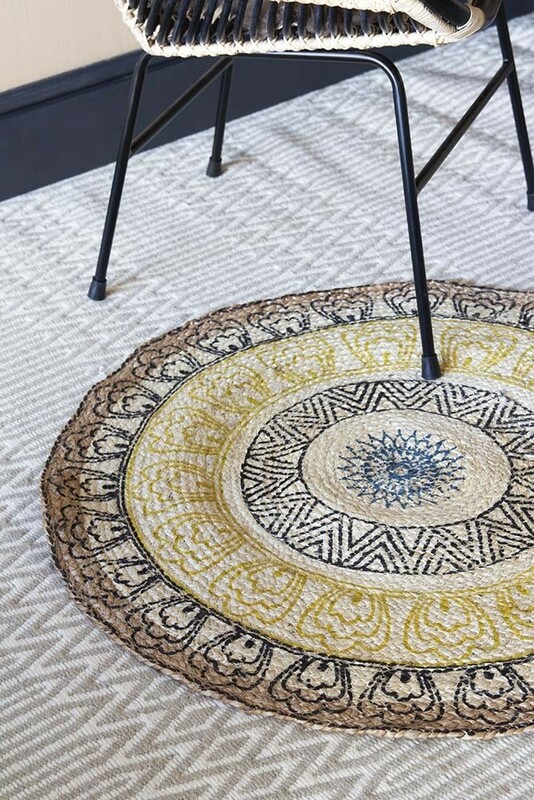 Ethically sourced and part of our affordable rug range, the Colourful Mandala Pattern Natural Jute Circular Rug will stylishly adorn your floors, beautifully complementing Boho and ethereal styles, whilst also softening modern and industrial looks. 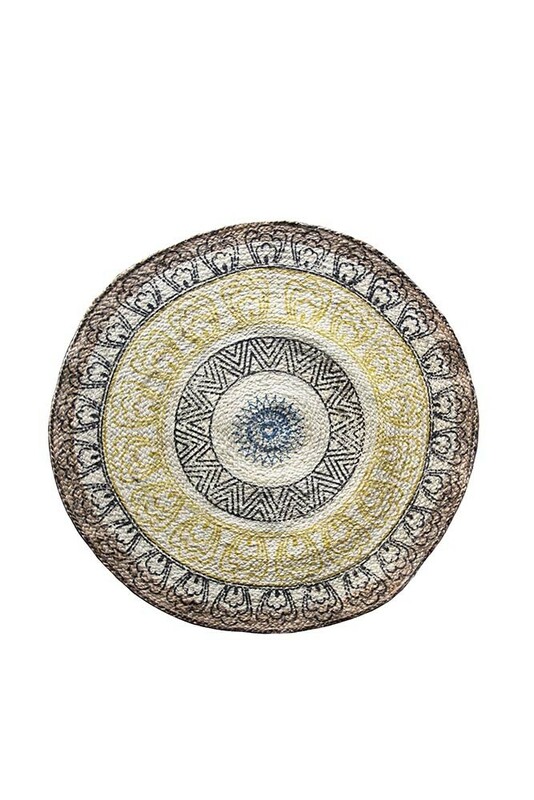 A durable rug that adds a global theme to your interiors; the Colourful Mandala Pattern Natural Jute Circular Rug will make an excellent finishing touch to your coffee table or statement armchair style spot. 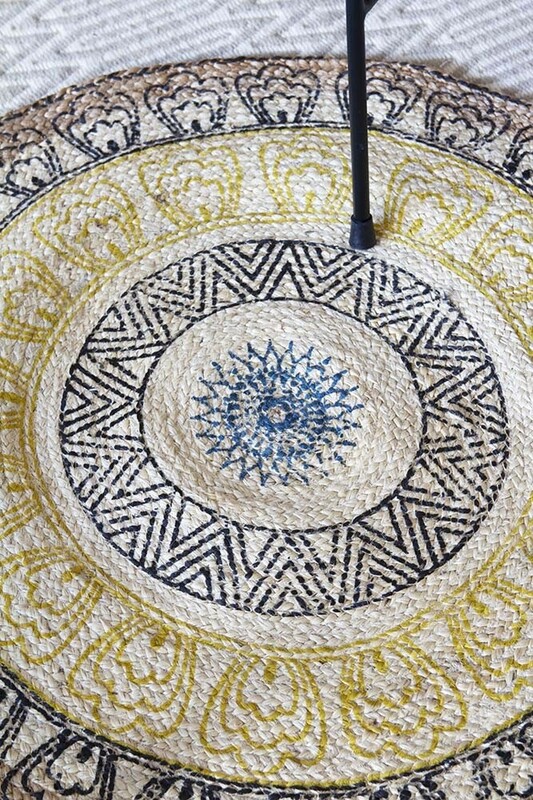 An easy way to inject textural interest to your home interiors, why not layer the Colourful Mandala Pattern Natural Jute Circular Rug with other rugs such as a large jute rug, deep pile or pom pom rug for that extra wow-factor? A beautiful cost-effective floor rug that is available in a number of different styles and colours, we think that it will look fabulous in children’s rooms, bedrooms, living rooms, hallways and kitchens too! Perfect for adding personality, interest and that coveted wow-factor into your home, you will love the Colourful Mandala Pattern Natural Jute Circular Rug for years to come.